Yamaha YM3526 OPL FM synthesizer chip used in the Sound Expander cartridge. 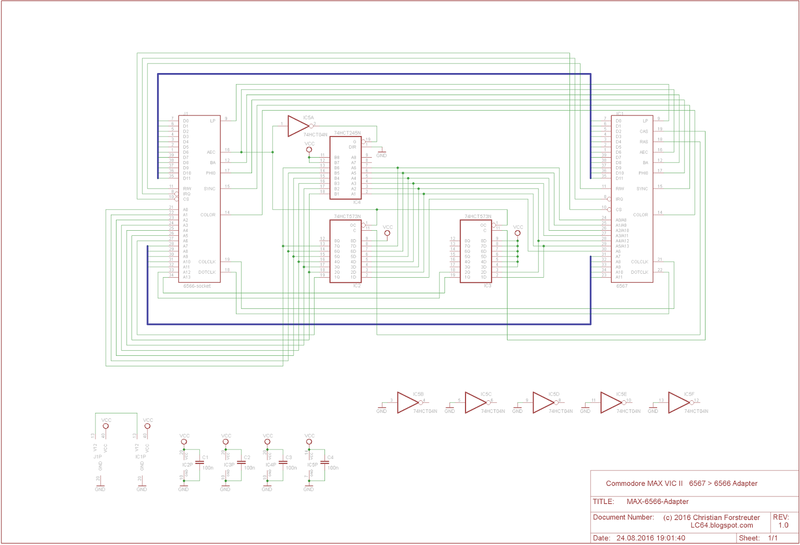 Schematic/Pinout for 4502 CPU and C65 PLA. Lower-res. Pinout / Layout info for 4567 VIC-III. Lower-res. data composed by William Levak. 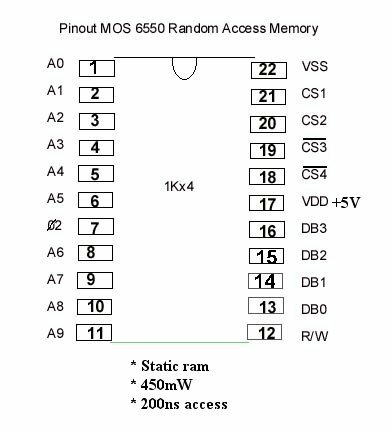 "Extra Instructions Of The 65XX Series CPU"
Describes the basic functionality of the extra NMOS 6502 opcodes. has been changed later; the on-chip I/O port has only 6 bits. are in IBM Code Page 437 character set instead of plain ASCII. MCS 6522 Versatile Interface Adapter, preliminary data sheet, November 1977. MOS 6525 Tri-port Interface Adapter, preliminary information, 2/81. 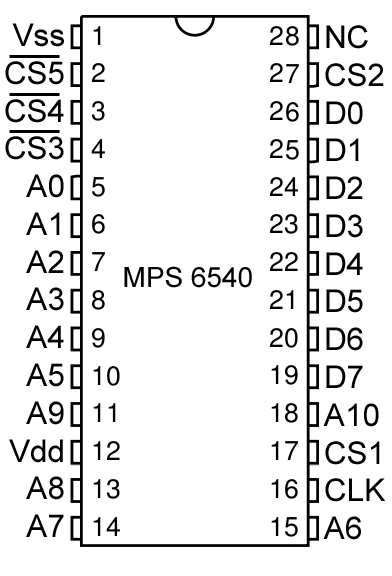 MOS Technology 6526 Complex Interface Adapter (CIA) data sheets, 11/81. MOS 6526 CIA (Complex Interface Adapter) data sheet in HTML format. CSG 6529 Single Port Interface, 4/81. Used in the C16, C116 and plus/4. MCS 6530 (Memory, I/O, Timer array). Similar to 6530.zip. CSG 6532 (Memory, I/O, Timer array); also called RIOT (RAM, I/O and Timer). MOS Technology 6560/6561 Video Interface Chip (VIC), 2/80. Visualization of the measurements reported in 656x-luminances.txt. Generated by Philip Timmermann <MOD@STARDATE.WESTFALEN.DE>. 6569R1, 6569R3 (ceramic), 6569R4, 6569R5, 6567R5 6A and 6567R8 (plastic). MOS Technology 6581 Sound Interface Device (SID), preliminary information. used in the 4510 processor of the Commodore 65. Composed by Michael Steil. the 6545 used in the PET computers. Data sheet for CSG 8520 CIA I/O chip found in 1581 disk drive. documented. Written and uploaded by William Levak <wlevak@sdf.org>. Technical Reference for CBM REU chip CSG8726. By Wolfgang Moser. 6563, 65245, and charts for substitute parts. ("VIC-Article.gz") and German version ("VIC-Artikel.gz"). Uploaded by the author, Christian Bauer <bauec002@goofy.zdv.uni-mainz.de>. Commodore VIC-20). Covers both 6560-101 (NTSC-M) and 6561-101 (PAL-B). the C64, and a JEDEC file that can used to burn a 82S100 as a C64 PLA. 6545, 6581, 6582, 8580, rams, and 82s100 plas. Some documentation about the GTE G65SC02 and G65SC816 microprocessors. also VIC-Article.gz and VIC-Artikel.gz, which are based on this article. Some aspects about programming the RAM Expansion Units. See reu.registers for detailed REU description. Describes all 8726 RAM Expansion Controller registers. 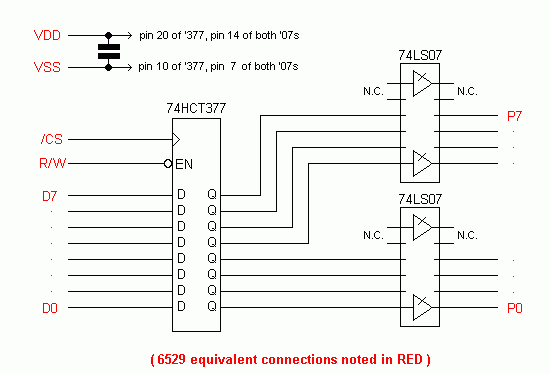 Synertec 6530 Memory, I/O, Timer Array. April 1979. Seems to have the same functionality as the MOS Technologies 6530. Emulator Test Suite version 2.15. Tests 6502 emulation compatibility. includes IRQ and NMI timing tests.